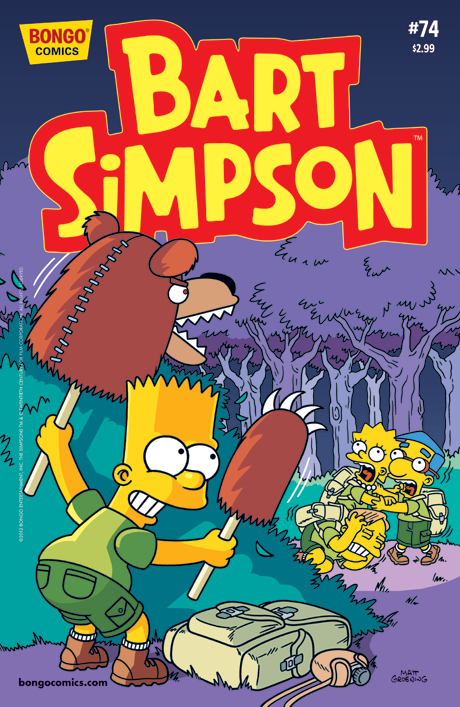 Bart Simpson #74 is the seventy-fourth issue of Bart Simpson Comics. It was released on August 22, 2012. Lisa uses Bart as an unwitting test subject in her science experiment on the effects of decision fatigue. Bart is seen through the eyes of several fellow Springfieldians. Bart and Milhouse get lost in the woods near Kamp Krusty. Maggie dials back her artistic skills to fit in with the other babies at the Day Care Center.